The Zooniverse achieved a major milestone last Friday. The 1 millionth (that’s right 1 with 6 zeros after it!) person registered for a Zooniverse account. While writing this blog, I decided to go and read the very first blog post formally announcing the Zooniverse. It’s amazing to see how far the Zooniverse has come and see the interesting science and exciting discoveries that have been produced as a result: starting with Galaxy Zoo launching in 2007 to Planet Hunters launching in 2010 (where we were the 10th Zooniverse project) to the Zooniverse today now with over 20 projects spanning not just astronomy but biology, ecology, history, and more. Congratulations to all involved! If you’re interested in seeing how those 1 million volunteers are distributed, Rob Simpson has created a global map of the Zoonvierse community. Also Grant Miller and Rob Simpson have come up with some other cool graphics and interesting statistics about the Zooniverse on the eve of the 1 millionth registered volunteer. Check them out here, here, and here. Also if you’re interested in seeing all the scientific publications from Zooniverse projects (including the 6 published Planet Hunters papers), you can find them all on the Zooniverse publications page. This accomplishment is yours too. Our estimate is over 280,000 people world wide (unregistered and registered volunteers) have participated in Planet Hunters. 150,000 registered Zooniverse volunteers have classified at least one Planet Hunters light curve. 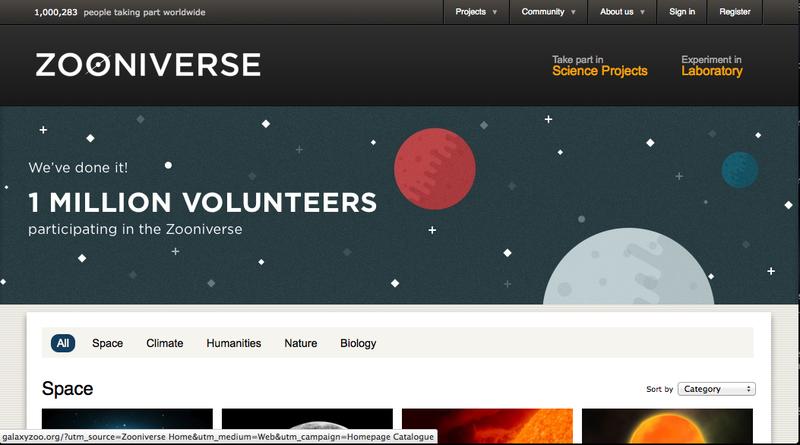 Roughly 15% of the 1 million registered Zooniverse volunteers have contributed to Planet Hunters science. That’s a huge representation! Thank you for the time and effort you put into Planet Hunters. We appreciate the time and effort you put in to help make the science happen. Thanks for being part of the Planet Hunters community and the larger Zooniverse community. May the Zooniverse Live Long and Prosper!